2017 80+ Luncheon carries on tradition! 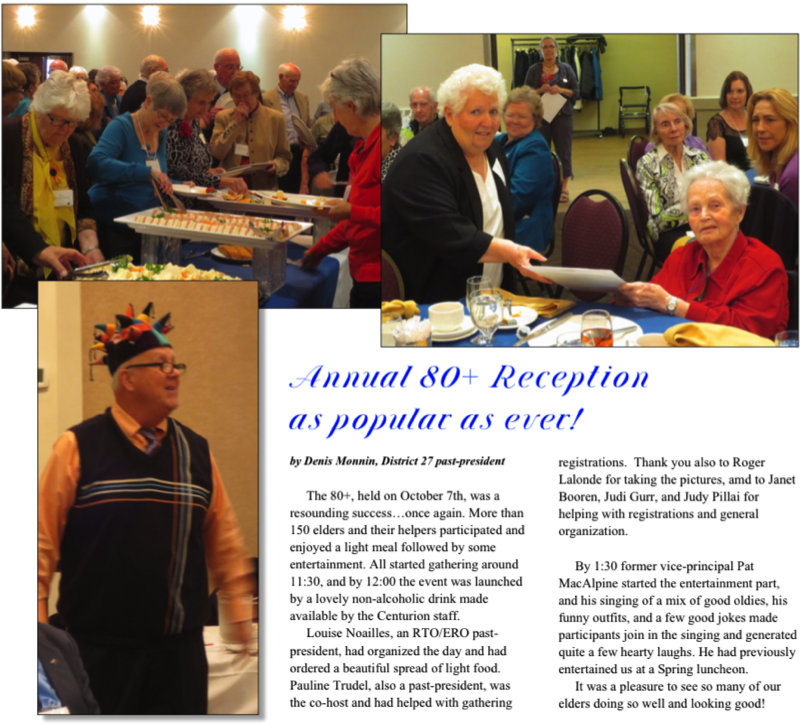 80+ Reception — more popular every year! 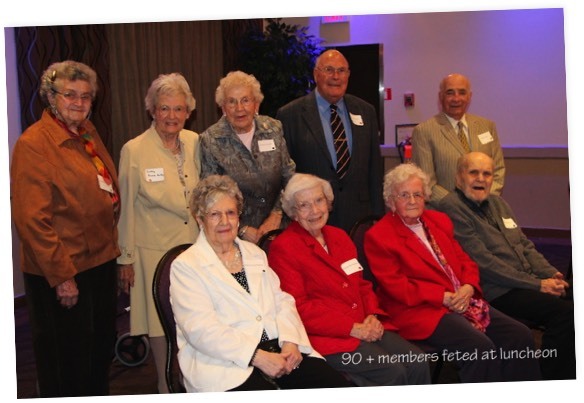 October 9, 2018 -— This fall District 27 celebrated its 23rd reception for members over the age of 80. This social activity becomes more popular year after year. In 2018, with more than 140 persons atten-ding, it was the largest to date, proving that it’s all about socializing with former colleagues. 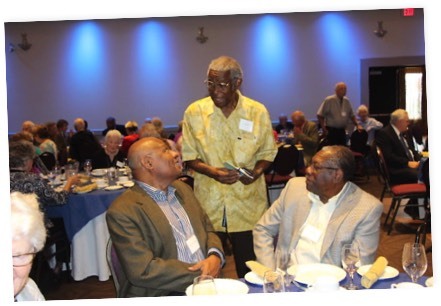 October 10, 2017 — The twenty-second 80+ Reception, held at the Centurion Conference and Event Centre, was another resounding success for District 27 with a large and appreciative turnout. 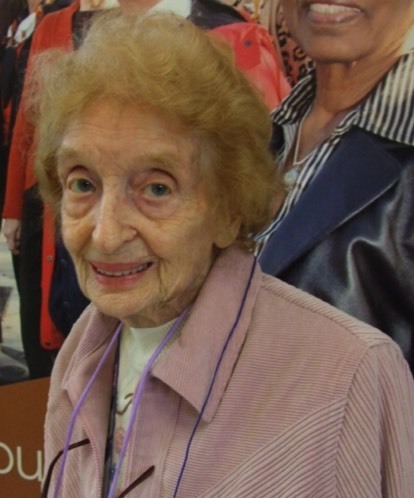 In 1994-95, Barbara Clarke, former Music Consultant with the Ottawa Board of Education and then President of RTO/ERO, organized the first 80+ Reception at the Heron Road Community Centre. Fifteen members were in attendance. This year more than one hundred and forty persons (100 members accompanied by more than 40 guests were present). Goodwill Chair Pauline Trudel sent 940 invitations to members who are more than 80 years of age. Who knows, we may have up to 200 guests next year. Thank you Pauline and Ray Ball for being such good organizers. Guests were greeted by Board of Directors members and volunteers who accompanied them to their table where they were served with an aperitif to the sound of easy listening music by pianist Jacques Giroux. After words of welcome and presentations by President Roger Lalonde and 1st Vice President Terry Craig and the singing of the Grace lead by Aurore Trahan a copious luncheon was served compliments of RTO/ERO District 27. After dessert, Roger Aubrey on behalf of all the invited guests conveyed sincere thanks to the organizers. 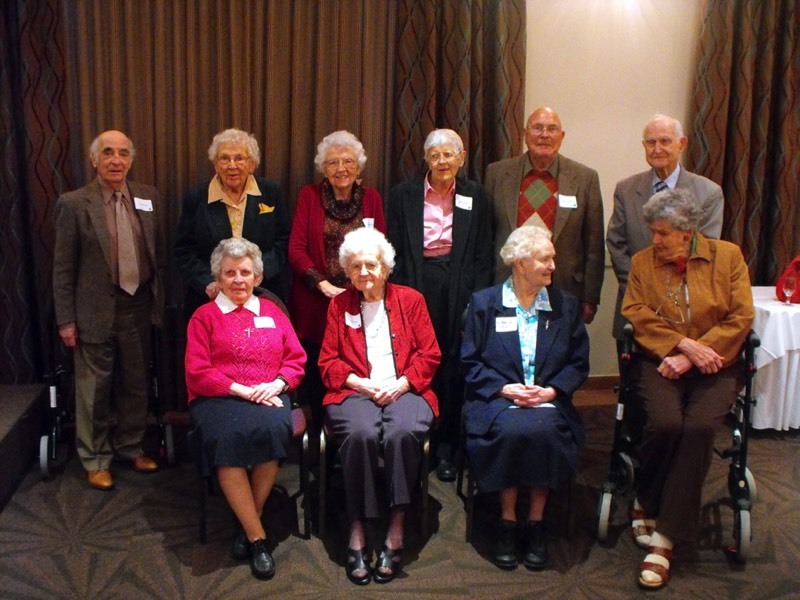 To the applause of the assembly and in a festive ambiance, Past President Norbert Boudreau took photos of the eleven members over the age of 90 of which seven were over 95 years old. One of the most appreciated moment is the presentation of a beautiful flower arrangement to all present as they left the Centre. 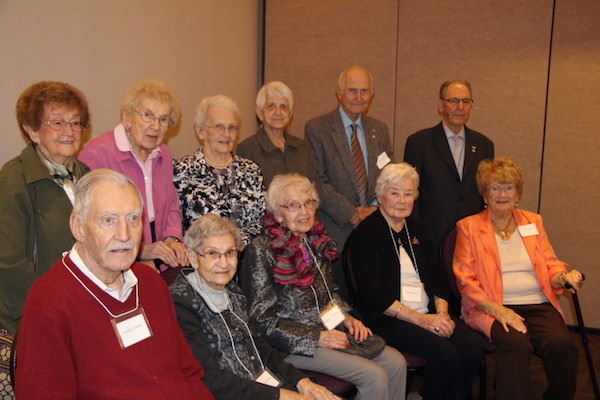 October 10, 2013 -— Over 100 members of RTO and RWTO who have reached 80 years of age gathered to enjoy a luncheon which recently took place in their honour at the Centurion Conference and Event Centre on Colonnade Road. Some of the honoured guests were accompanied by family members, and along with younger RTO and RWTO members on hand to assist, the group eventually numbered over 150. As they left, many guests commented that they are already looking forward to next year. Anyone who still holds the idea the teachers, particularly retired teachers, must be a very staid group indeed, would be amazed at the laughter and animated conversation which echoed into the hallway as the attendees gathered. Many ran into former colleagues whom they hadn’t see for years, and a lot of memories were shared. Listing the names on the programme of those expected to attend seemed to be very popular, as people were able to look for old friends while they were there. Younger RTO and RWTO members are often surprised to learn that this very popular event draws over 100 guests each year. They are even more surprised when they hear that almost 800 invitations are sent out annually to local 80+ members. Unfortunately some of the recipients are unable to attend due to poor health, but a good many more are unable to attend because of a conflict in their social calendar. “I’ll be there next year.” is the response from many when they phone in their regrets. The 80+ event began as a Tea for RWTO members approximately 25 years ago. Several years later RTO members were included, and the event has grown and evolved since then. At first it was held at the Seniors’ Centre on Heron Road, and for a number of years more recently it was held in the library at Immaculata High School. This location is now too small for such a successful event. At Immaculata, the students’ lunch period meant that it had been held in the early afternoon. However many guests felt that the timing, being so close to the noon hour, didn’t allow them to fully enjoy the refreshments. Moving to the Centurion allowed the event to become a luncheon, and from all appearances, the refreshments really were enjoyed by all. As always, Centurion staff members were very helpful to the guests and the location,with the absence of stairs and plenty of parking, is ideal. The 80+ event has become one of the most popular on both the RTO and RWTO yearly calendars. It is usually held in mid-October, often in the week following Thanksgiving. 2012 — What a wonderful event! From the refreshing glass of punch served at the entrance, right to the colourful flowers distributed upon leaving, over 100 RTO and RWTO members who are 80 years of age and over enjoyed lunch at the Centurion Conference and Event Centre on October 11. Honoureees, their guests, and the organizing committee totalled almost 175 people — the largest turnout yet for this annual event. This 80+ reception has been taking place for over 25 years, and, following 2011’s combined event with RTO’s fortieth birthday celebration, this year it reverted to its more traditional format. 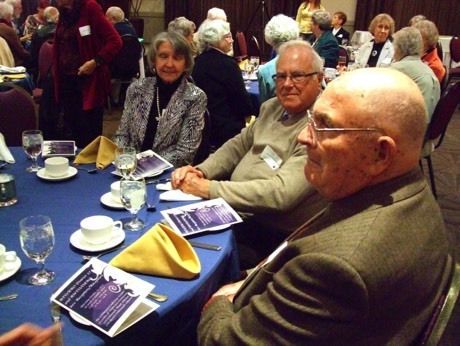 The change of location from Immaculata High School was necessitated by much larger numbers, but it enabled a luncheon to be held instead of the usual afternoon tea. Compliments on the quality and the freshness of the food and also on the extremely accommodating Centurion staff were many. Old friendships were renewed, and new ones were made. Viola Scrim at 95 was the oldest retired teacher in attendance, and Marion Michel was the youngest official 80+ member, as she celebrated her 80th birthday on the day of the event. All in all, it was a huge success, and many attendees are already making plans to return next year. You had a marvellous life, Isabel"
Featured as one of our "Senior-Seniors" at last year's combined 40th Anniversary and 80+ Luncheon, District 27 has lost a valued member in Isabel Ward. During a stint in the RCAF in World War II, Isabel achieved the rank of NCO at Rockliffe Air Base. Following this, she turned to a career in teaching at Rivercrest School in Renfrew County. Later, she accepted teaching assignments with DND in Soest and Lahr in Germany. In 1963, she was appointed principal of General Lake Public School in Petawawa. In the summer of 1968, she was on a Project Overseas team, teaching in Tanzania, for the Canadian Teachers' Federation. In 1971-72, Isabel served as President of the Federation of Women Teachers' Associations of Ontario and, in 1974-75, as President of the Ontario Teachers' Federation. In 1984-85, she became President of the Ottawa-Carleton district of the Retired Teachers of Ontario. On her 85th birthday in October, 2000, Isabel received The Governor General's Citation for exemplary service to the community and country in the fields of education and arts. In 2011, Isabel's memories of the Ottawa Little Theatre were captured in a TV interview. In the words used at her funeral by her friend Michael, "You had a marvellous life, Isabel. Bravo!"